I woke about eight, got up and set off for an hour’s walk with Mix to give everyone some space to get themselves sorted out. Rachel went for a shorter walk with Rowan and when I returned I discovered that not only was everyone up and sorted, but they had all breakfasted on boiled eggs and toast and were raring to go. 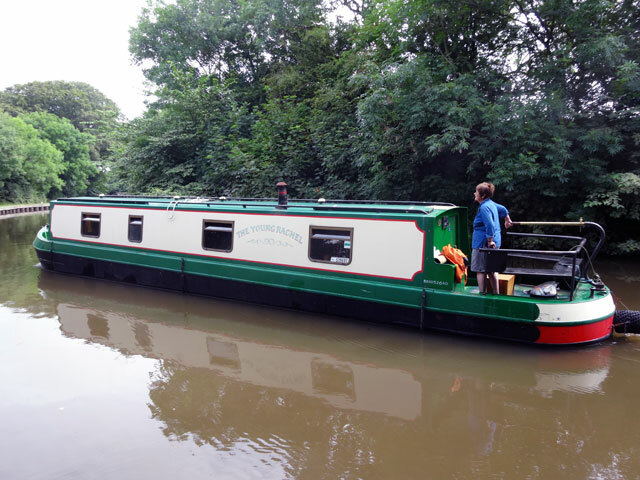 I had my breakfast and then we were off – me inside with the dogs (I went off and had a shower) and the rest on the stern where Tom had soon tried his hand at steering the boat. There are six locks at Bank Newton, so it was all-hands-on-deck as we made our way down, doing everything on our own until we crossed with a boat coming up on the fifth lock. 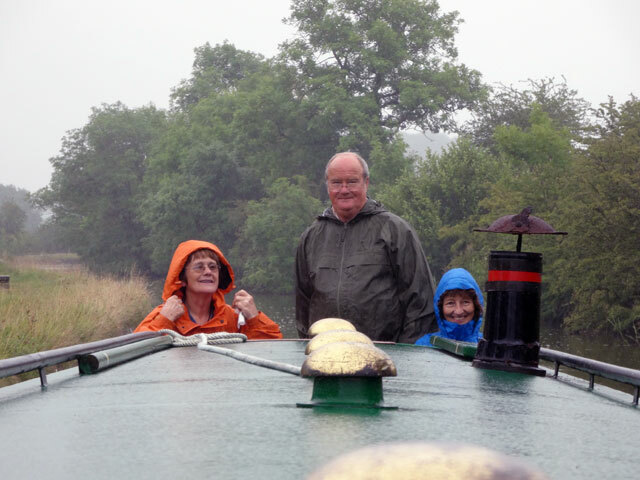 Tom and I dealt with the gates, Dorothy held the boat on a rope and Rachel steered. We made remarkably good time, stopping at the bottom to walk the dogs and have some lunch: pasta and orange juice. 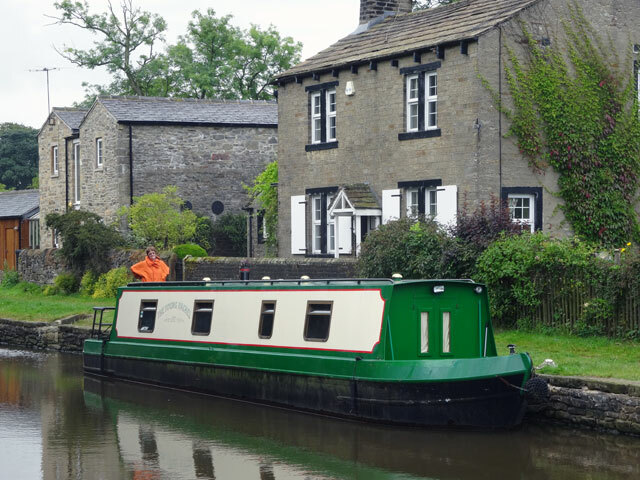 From here we journeyed on into Gargrave descending the three locks into the village and crossing with a large fly boat which had been bought by a couple and converted into a floating hotel with three guest cabins, four bathrooms and other facilities. The owner, as we shared working the gate, told me how much fun he and his wife were having – they had spent the off-season painting the boat and now they were in business! At Gargrave everyone except me went shopping. I stayed at the boat with the dogs so that the others could wander undisturbed. On their return, Rachel and I walked the dogs and then we went for a meal at the Anchor Inn – part of the Brewers Fayre chain. It was an excellent meal – for me: prawn cocktail, sausages, eggs and chips, followed by a banana split. 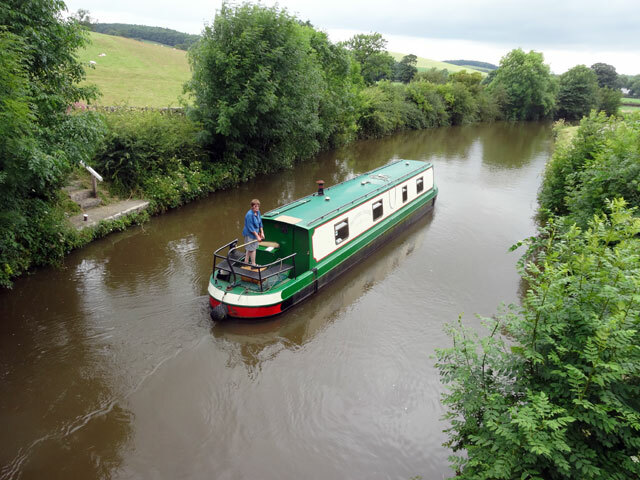 We made our way back to the boat and immediately set off down the three Gargrave locks en route for Skipton. 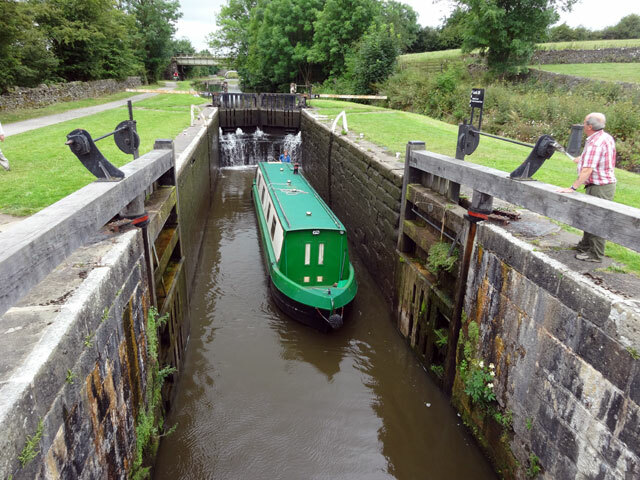 There was a long way between each lock and I felt that I had more than walked off my desert by the time we had moored up. Our mooring spot was exactly in the same place we spent our first night on a canal boat back in 1994 with Anne, Jean and Sandy. 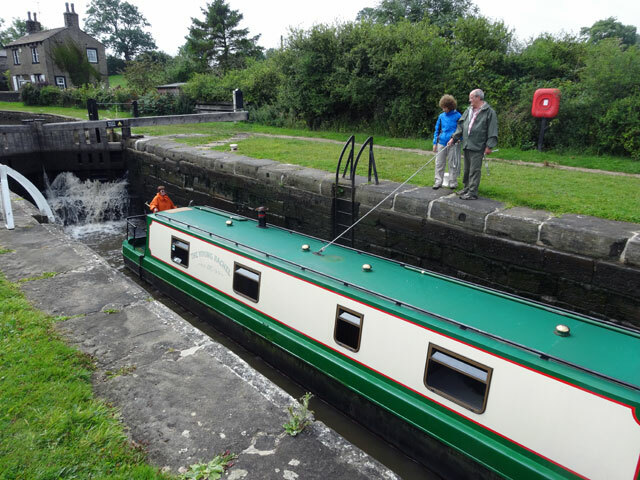 On that occasion we had set off from Snaygill’s (from the other side of Skipton) and come through Skipton to the bottom of these locks and moored – the following morning Mr. Snaygill arrived and gave us instructions on how to go through a lock, and then we were on our own. Tonight we sat on board and Tom regaled us with tunes on his accordion before it was time to walk the dogs and bed. 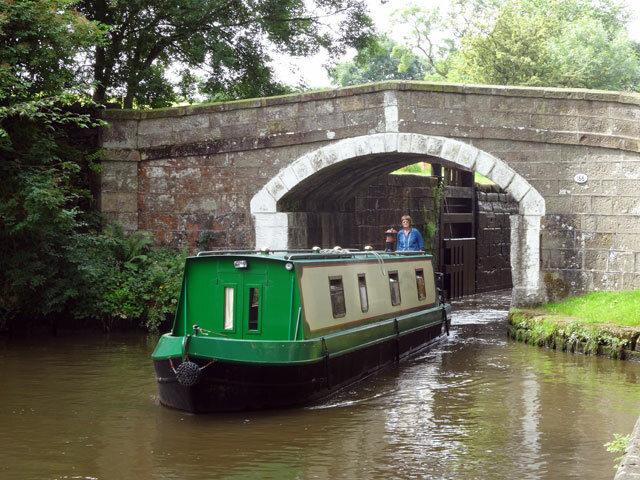 We knew that the next phase was lock-free but with several swing bridges so we walked the dogs to the nearest bridge and reminded ourselves of how they were operated. It was all very straight forward. I slept like a log (dreaming, no doubt, of the spectacular rural scenery we have been part of today – calm, rural, idyllic, green, quiet – the things that paintings are made of – and, if we had an occasional shower, it remained extremely warm and lovely to be out and about in).